Sometimes I wonder if their is any God or gods at all. Think these stuffs are just a fig in our imaginations or like what my friend always say "the whites use this things to control and keep us as slaves. 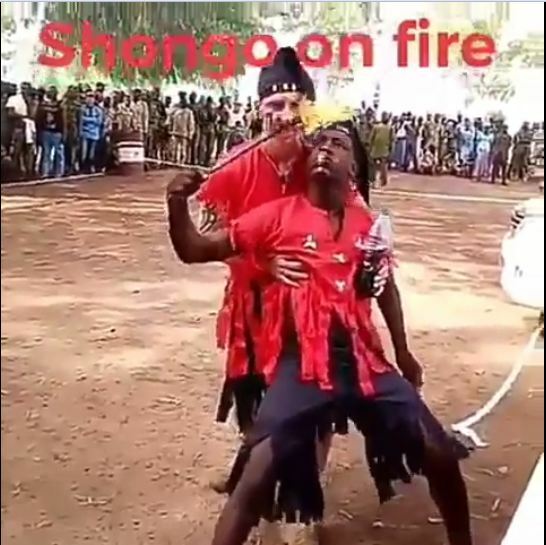 Fire breathing is the act Sango worshipers practice by creating a precise mist of fuel from the mouth and spitting it over an open flame. 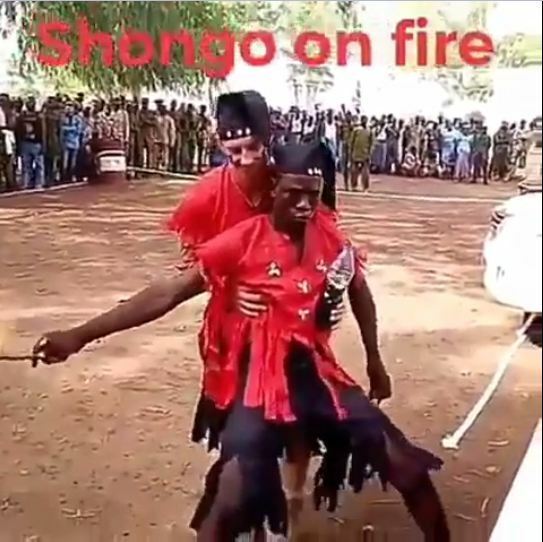 This act is from The Sango Deity As he breathes fire naturally. 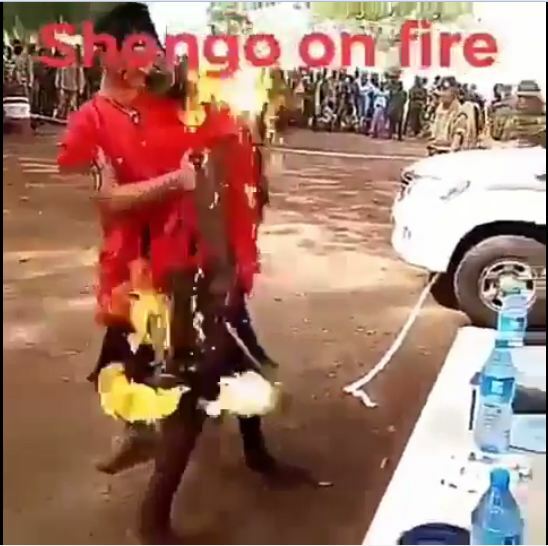 But this particular sango worshiper at an event got more than he bargained as the mist fuel leaked onto his mouth and in the process, caught fire.